Barack Obama's Penny Drop Moment! I have come to realise that no matter how you map out the Social Media Opportunity for clients, or try to demonstrate the success that others have had using the different platforms, they themselves have to realise the magic, the possibilities – I call it the “penny drop” moment! Once that happens they are “off”, they are converts, they assign resources to their social media efforts and they start seeing results. The “penny drop” moment arrives at different times for everyone and for each of the different platforms. Twitter – we were able to achieve valuable coverage for a client, an International NGO during the Haiti disaster by communicating directly with journalists on Twitter who were actually out there …. Hmmm, now I get it! LinkedIn – this one was easy, reaching out to the business community in your target locations and being able to generate relevant discussions on your areas of expertise. You go to networking meetings and people you have never met, come up and chat to you because they have seen your posts and recognise your ugly mug …… Hmmm, this seems to be working – no brainer!! Blogging – in the beginning you wonder how this will work for you, then you see with “sticky” content (stuff that is interesting, or made interesting) and posts in relation to your areas of expertise that you receive large numbers of hits and your search engine scores are great. I even managed to highlight nasty issues, quickly sorted out issues with a national phone provider and had material published nationally …. Hmmmm, now I get it! 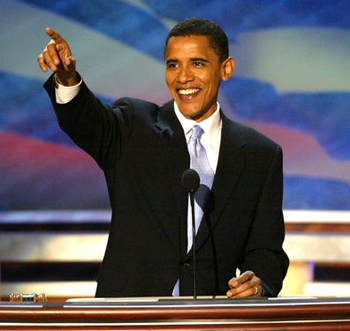 If you are in any doubt or need further convincing about the value of Social Media we might ask Barack Obama, the leader of the free world, the first ever “social media” President , when was his “penny drop” moment? ….. Hmmmm, I’m the President of the United States! Have you had yours ? This entry was posted on May 8, 2011 at 3:05 pm and is filed under Facebook, Marketing, PR, Social Media, Uncategorized. You can follow any responses to this entry through the RSS 2.0 feed. You can leave a response, or trackback from your own site. What about mobile? Not everyone has or will have a smartphone for all these internet sites. Texting a message to an SMS short-code that will appear on a large screen (with a Brand on one side of it) in a prominent place (e.g. over the St. Stephen’s Green Centre) ….now thats social!